Welcome to the ibis Madrid Alcorcón Tres Aguas hotel. Enjoy a pleasant stay in Alcorcón, just a stone's throw from Madrid and near shopping and leisure centers. The ibis Hotel in Alcorcón Tres Aguas is 20min from the city center by public transport. It is also located 7km from the Casa del Campo fairground, the zoo and the amusement park. All its rooms are an ideal place to rest, equipped with WiFi and air conditioning, among other comforts. There is also a parking service at an affordable price. Nearby, you can enjoy all the services offered by the large shopping mall, Tres Aguas. Bus next to the hotel. Train 875 yards (800 m) away will take you to Madrid in 20 minutes. 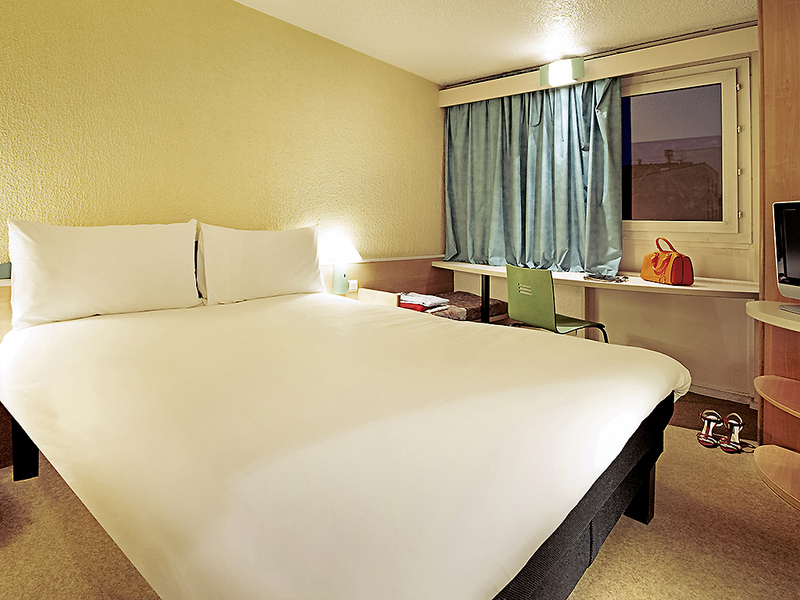 Room with 1 double bed and 1 sofa bed with the new ibis bed, for 2 adults and 1 child.